Derwent Coloursoft Pencils have a velvety soft core which allows them to lay down rich, dense colours. They can be used on a variety of surfaces and the deep, vibrant hues can be blended for different effects. 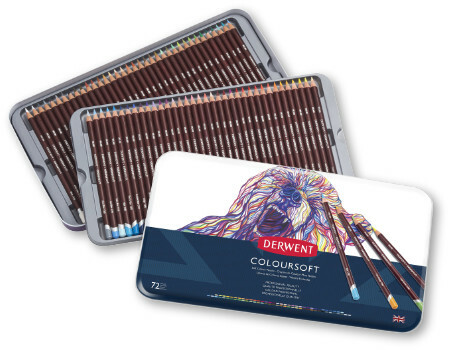 The whole range of Derwent Coloursoft Pencils in a presentation tin.